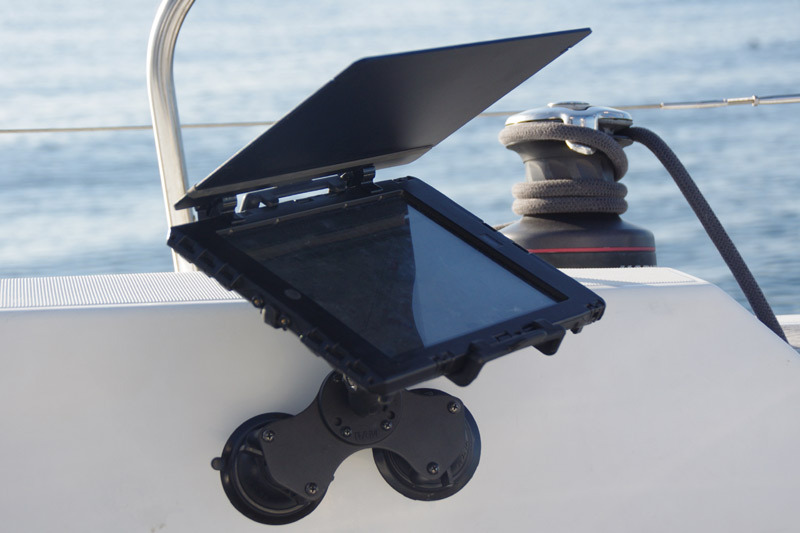 A good tablet attachment must provide a secure attachment to the helm station, but also allow an easy release so that you can move around on board. Solutions exist! That's it, your iPad is safe and dry in its waterproof protection, loaded with a navigation application and the marine chart of the area, and you're ready to go! But have you thought about securing your new travelling companion? On a beautiful day, it is possible to place the iPad next to you on the cockpit bench, or stuck under the descent cover. But this is no longer the case as soon as the conditions become more complicated: sailing upwind in rough seas, tacking in a channel, losing control at luff or downwind.... In these situations, shocks and heeling require an appropriate fixing. 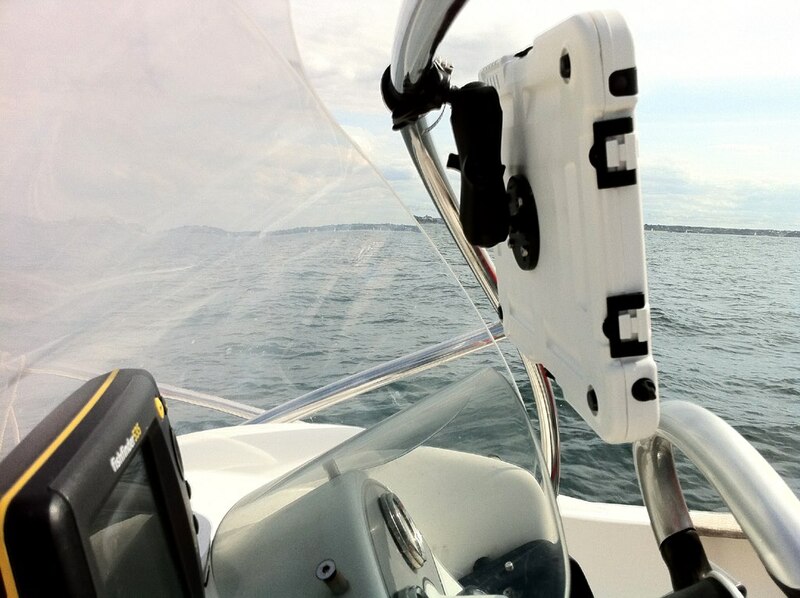 For motor boats, the problem is the same: how to keep an eye on the tablet when you're speeding at 30 knots in the waves? The navigator must be able to consult/handle the iPad from the helm, but also be able to move with it as soon as he stops steering, to keep an eye on the boat's performance or to do the AIS watch, for example. 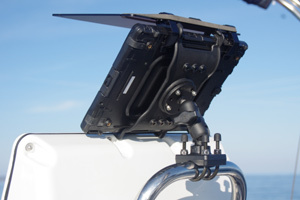 > be repositionable if possible, so that you can attach the tablet to different places on the boat: on both sides of the cockpit on a wide boat, at the chart table, or even near your bed to watch a movie at anchor! 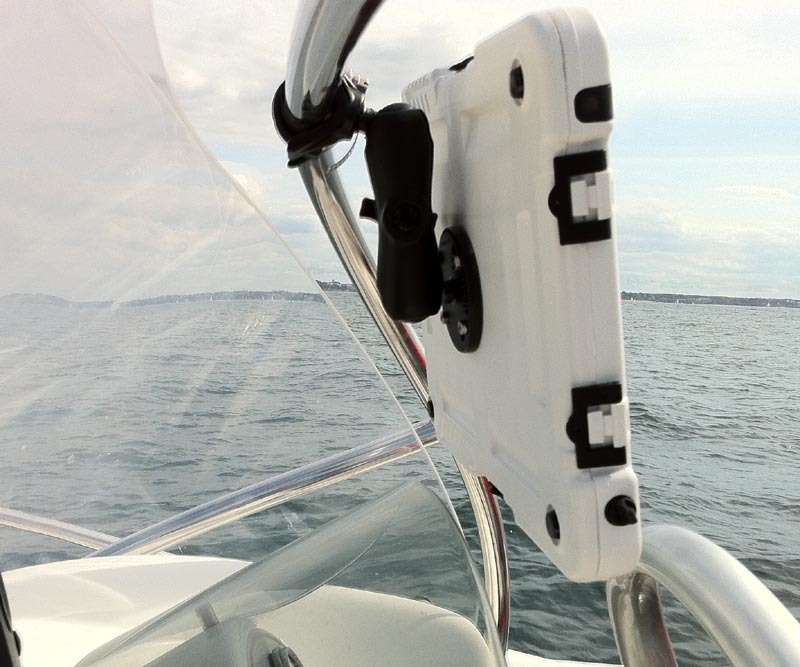 A repositionable system can also be more easily carried on another boat, for example on a rental boat or during a regatta. > be reliable at all times! - Place the iPad in a cockpit bag, and grab it when needed. It is safer to add a rear handle and a lanyard. Not totally ideal since you will have to use both hands, but good enough to check the route. This solution is often adopted by solo racers. - Carry the tablet on you with a shoulder or neck strap. Allowing full mobility, this is the preferred solution for tacticians in team regatta racing, where a fastening system may hamper the maneuver. - you can fix the iPad securely in the cockpit, preferably on an articulated arm: this will allow to orientate the iPad to avoid sun reflection, or simply to turn it towards you after tacking. As for the attachment system on the boat, it will have to be adapted according to the cockpit configuration. 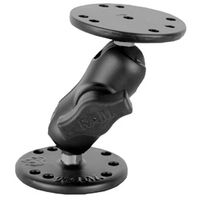 They are a reliable solution provided that you use quality suction cups and have a flat and smooth surface. The single, double or triple suction cup systems sold at iTabNav hold perfectly on any flat gel-coat surface, even vertical. This system has strong advantages, as it can be displaced easily and removed each time you leave the boat. The articulated arms connect the fastening system to the iPad case and allow the iPad to be oriented for optimal readability. 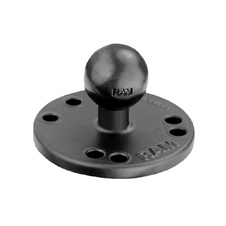 The RAM arms sold at iTabNav are particularly reliable and can be tightened/untightened with a simple half turn of the knob. 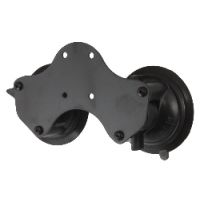 The rubber coating of the ball joint provides the necessary grip to ensure that the position is locked even with moderate tightening, providing a high level of user comfort. 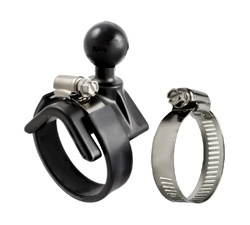 They can be used alone or on a suction cup or tube holder. 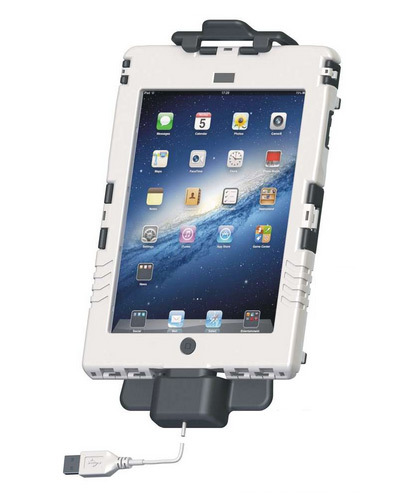 While being well protected in its case, the iPad must be able to be carried or easily attached to the chosen mounting. 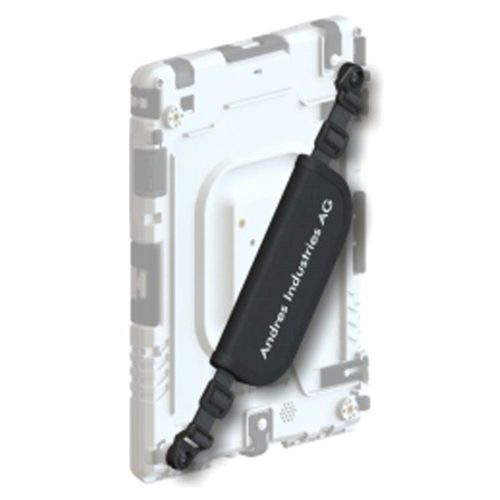 Andres Industries' aiShell range currently offers the most complete range of fastening solutions. 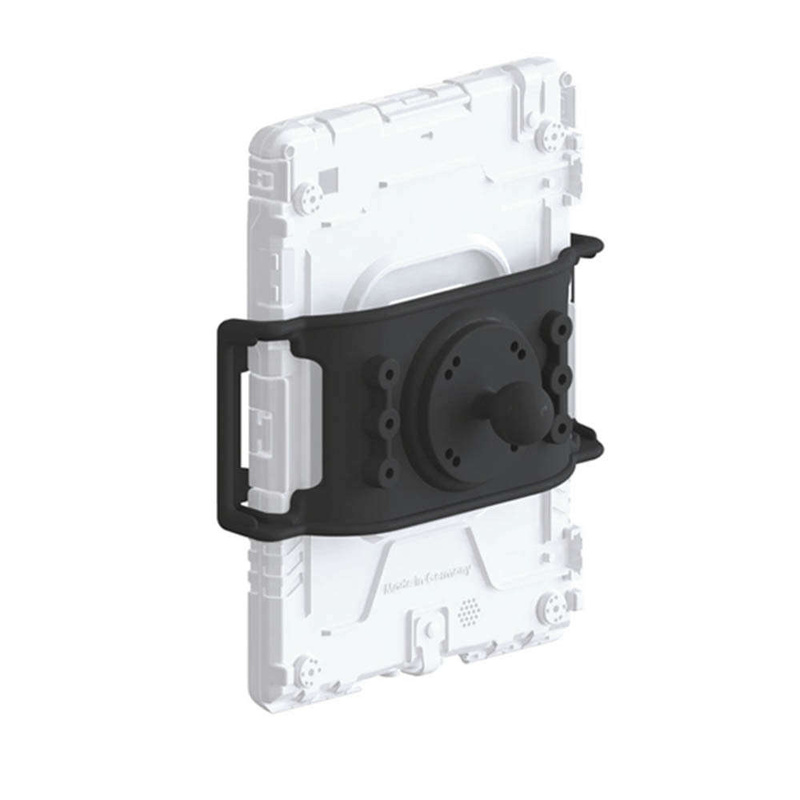 For each size of aiShell case there is a special bracket (or quicksnapper), which will allow it to be fixed and detached instantly and with one hand, while ensuring a totally reliable fixing. This is the most practical system. Particularly clever, the Car Cradle is a bracket that ensures both quick mounting and charging of the iPad! The tablet will charge each time it is repositioned in its holder, while allowing complete freedom of movement and without any risk of water ingress! A rear handle or shoulder strap can also be adapted, both of which are easily detachable. Not easy to find your way around ? Check out our "ready-to-sail" value-packs which include a waterproff protection and a complete mount!